If you are a PI News Roundup subscriber you've probably been introduced to a product called idiBASIC. idiBASIC is a quality verification and location information product available to investigators. 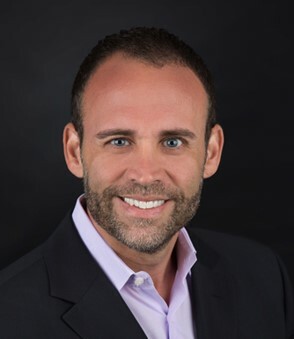 In our latest Sponsor Spotlight, Derek Dubner, Co-CEO of IDI, Inc. takes our Q&A and shares details about the company, its foundation, products, and future. DD: IDI (an acronym for “Interactive Data Intelligence”) is an information solutions provider focused on the data fusion industry. Our founders and management were instrumental in building the leading products in the industry today, Accurint and TLOxp. Ole Poulsen, our Chief Science Officer, was the primary systems architect of Seisint (with its product Accurint) and TLO (product TLOxp) prior to their being acquired by Reed Elsevier’s LexisNexis and TransUnion, respectively. During the past 15 years, I had the pleasure of working with Hank Asher in his two previous ventures, Seisint and TLO, and I watched his passion for creating great investigative products for the PI industry. We at IDI have assembled a world-class team to continue that mission. 2. Can you give us a short summary of the current products you have available to private investigators and what they offer? DD: Private investigators may not know that IDI, through its subsidiary Interactive Data, LLC, has served as an information solutions provider for over a decade, centered primarily in the Collections industry. We are now devoting time and resources to expand our offerings to serve the investigative markets. Leveraging our expertise and long history in the verification and location of individuals for debt collection purposes, we recently added massive new data sets and released idiBASIC™, a simple, intuitive and cost-effective location and verification product. This was a very deliberate offering, resulting from extensive feedback from several industries, including private investigators. As you know, investigators have many cases that require only verification, location, or skip trace-related data. Legacy providers continue to raise prices on already high fees by packaging skip tracing data with additional, unnecessary information. At $0.50 per hit, idiBASIC is meant to give investigators only what they need for simple skip tracing, through an easy to use interface, at a price point that makes sense. 3. What products and resources do you see IDI offering in the future? DD: While idiBASIC serves the simplest of use cases, our full investigative system, idiCORE™, is currently in development and set for release in stages throughout the remainder of 2015. With proprietary linking technology and an advanced systems architecture, we believe idiCORE will quickly become the system of choice for private investigators seeking comprehensive views of (and the connections between), people, businesses, and assets. We are not building just “another system,” but truly what we believe to be the next-generation investigative platform. 4. From your experience in the data industry, where are other products failing in areas that IDI is going to excel? DD: It is our view that many of the difficulties surrounding legacy systems today are related to when they were developed, the supporting infrastructure, and the business philosophies of organizations. Previous systems were built as early as 2000. That is a lifetime ago when speaking about technology. Programming, hardware, and infrastructure have changed dramatically over the years; thus, the landscape has changed. Linking algorithms can become outdated due to the enormous growth in the volume of available data and evolving uses of this data. In this changing environment, rigid rules or static software will lead to extinction. If these legacy systems don’t evolve with these fundamental industry changes, there can be actual degradation of the quality of results produced by data fusion systems. IDI is attacking this problem by using modern data science techniques – a great example of this is machine learning – to develop a system that constantly adapts and gets smarter as time goes on. Further, it’s very difficult to consistently offer cost-effective services when a company has invested in, and must maintain, a vast, capital-intensive infrastructure necessary to support the processing of these massive data sets. This used to entail investing tens of millions of dollars building a massive data room, acquiring thousands of servers, and maintaining the personnel to support it. Once such a capital intensive commitment has been made, it is problematic, and in some instances impossible, to modify the system to take advantage of advancements in today’s technology. Today’s massive migration by companies of all sizes to cloud-based infrastructures is a perfect example. By designing this next-generation system from inception, IDI benefits from the structural changes in data processing and storage that have taken place in recent years, resulting in our ability to offer more cost-effective services to our customers. Lastly, due to the evolution of this industry, current offerings are now run by very large organizations. While IDI is a publicly-traded company, our primary focus will always be the customer. Our management team and board of directors understand that constant innovation is the key to properly serving the investigative industry. We are committed to developing great products at a great price. 5. You touched on key team members having a background in the data space. Would you walk us through some core team members and their backgrounds, as well as how this sets IDI apart from the competition? DD: As I mentioned, on the technology side, we are extremely pleased to have Ole Poulsen as our Chief Science Officer. Ole served as the primary systems architect of both the Accurint and TLOxp systems, and is one of the few individuals in this field to have unique knowledge of how these systems work and, more importantly, how to design the next-generation system for today’s uses. Additionally, Ole handpicked a world-class team of data scientists and engineers from top organizations such as Microsoft, Disney and Boeing, all based in our Seattle office, that are knowledgeable, experienced, and dedicated to creating powerful solutions for the industries we serve. On the business side, we have several members of the team that have lived and breathed the data fusion and investigative industries for years. 6. How do you see IDI continuing to provide value to the private investigation customers in the future? DD: The investigative market is extremely important to us. Many of the key features included in today’s investigative systems are a direct result of input from this industry. We are dedicated to listening to our customers, as well as forging alliances within the industry, to better understand trends, needs, and concerns that can be addressed. We are committed to advancing our technology, enhancing functionality of our systems, and continually increasing the breadth of our data. 7. Is there anything you would like to add about your products, what’s coming, or what’s next for the data world from IDI? About Derek Dubner, Co-CEO of IDI, Inc.
Derek Dubner is the co-chief executive officer of IDI, Inc. For the last 15 years, Mr. Dubner worked closely with the late Hank Asher, the creator of market leaders Seisint and TLO and often referred to as “the father of data fusion”. Most recently, Mr. Dubner served as general counsel of TLO from inception through the sale of substantially all of the assets of TLO to TransUnion in December of 2013. Prior roles include vice president and associate group counsel at Equifax, general counsel and chief compliance officer at Naviant (acquired by Equifax), and corporate counsel at Seisint (acquired by Reed Elsevier’s LexisNexis).